One of my specialties is representing the best interests of Santa Fe area buyers throughout the home buying process. My comprehensive, high-quality services can save you time and money, as well as make the experience more enjoyable and less stressful. If you're like most people, buying a home is the biggest investment you will ever make. So whether you're buying a starter home, your dream home or an investment property, why not take advantage of my experience as a local market expert for Santa Fe to make the most informed decisions you can, every step of the way? Description: The easiest way to own a vacation home in santa fe. Close to the plaza and the shops,restaurants, museums o .. Description: One of the best 5 acre view lots in alteza estates within minutes of town.! Lots of quiet on this hill top .. 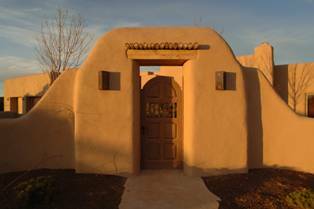 Description: The easiest way to own a vacation home in santa fe. Walk to the plaza and the shops, restaurants, museums o .. Description: Bedrooms: Mesa views with pecos river frontage. East boundary of property along the pecos river. Pinon, j .. Description: Enter the front door through a handmade gate to a protected, deep portal. The home has a spacious and socia .. Description: Charming condominium quarter ownership just a few blocks from the plaza. Beautiful architectural details fo .. Description: Quarter interest in a professionally managed and completely furnished downtown vacation condominium. Two st .. Description: Gracious updated adobe with deep entry portal. Pretty kiva-style fireplaces in living room and bedrooms. Co .. Custom built condominium. Spacious master suite is conveniently located on the ground floor. Master bath features separa .. Description: Rare opportunity to own all 4 quarter shares of unit 1 campanilla compound. Graceful entry path leads to th ..